Get bumper stickers to spread your PBIS program throughout the community. 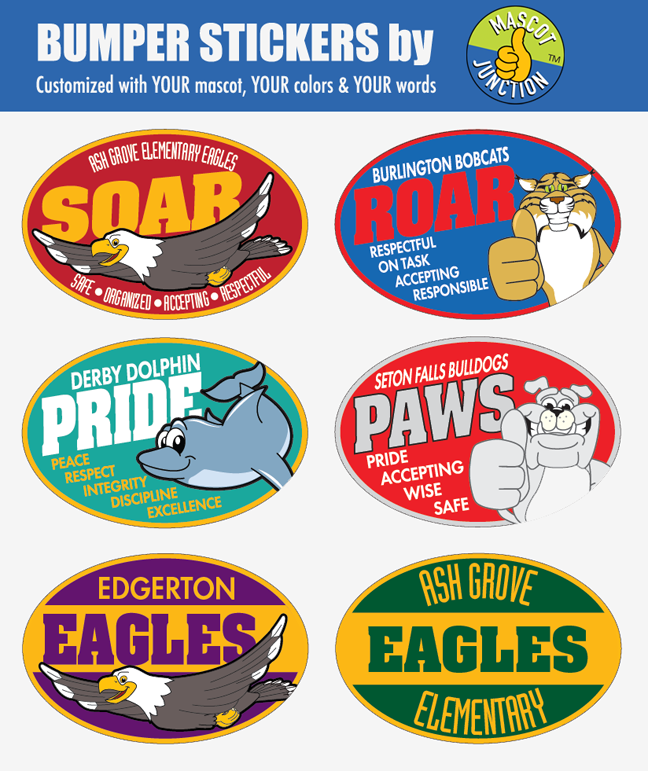 We customize these with YOUR mascot, YOUR colors and YOUR PBIS theme, or whatever you want! This is a new product that’s not yet featured in our catalogs or price lists, so please e-mail info@mascotjunction.com for pricing. Use 6″ x 4″ oval bumper stickers bumper stickers to promote your PBIS program throughout your community.